What Should You Do If Your Car Gets Stuck In A Brutal Storm? There's a terribly bad horror storm (or just a light flurry, nobody really knows) approaching the east coast of the US right now. Right now as we speak. With that in mind, what should you do if you and your car get stuck in a brutal storm? 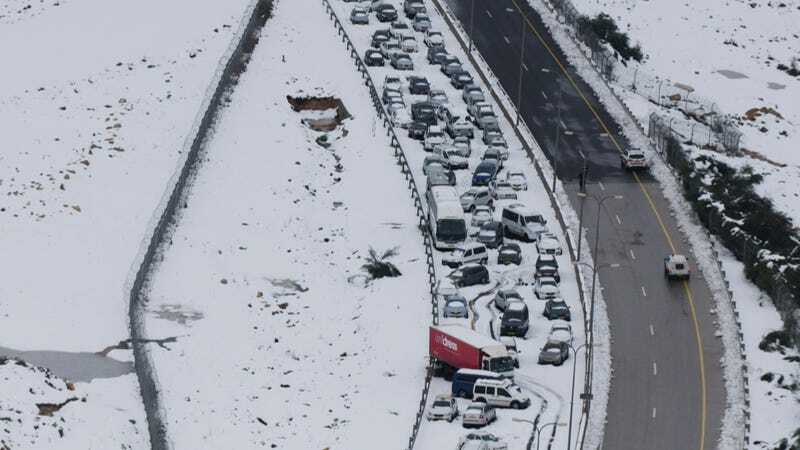 Winter storms have been wreaking havoc so far this year, especially in the midwest, where a white out caused by a gigantic crash on I-94 in Michigan claimed 100-plus cars. Getting stuck on a highway, a back road, or a ditch is a very real possibility for a lot of the population this winter. What should you do if this happens to you?